Joy is the main factor at play here. I’ve been enchanted with Star Wars as long as I can remember and having a new chapter released was a ton of fun. The moment the opening theme music played I was cheering like a mad football fan and was giddy with excitement throughout. Re-launching such a storied franchise is no easy feat, and while there are some small items to question, this movie was a heck of a ride each time I’ve seen it. 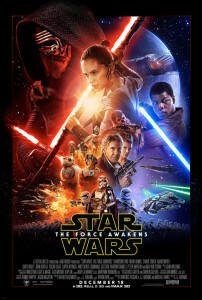 Can’t wait until Episode VIII! It’s likely a factor of getting older, but there just isn’t much new music these days I like. 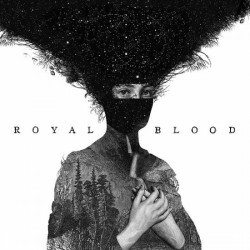 That was until August while on vacation in Canada and my friend Darren introduced me to Royal Blood. Day after day I’d hear another heavy hitting song I liked, ask Darren who sang it, and it was Royal Blood again. This duo from England really rock and pound out an impressively powerful sound that packs a punch. 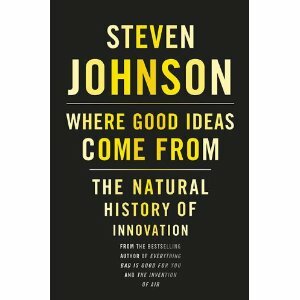 While I try to read more for pleasure these days, forcing myself towards fiction, this fascinating book by Steven Johnson does an exceptional job of outlining where good ideas come from. Via a myriad of different angles, he shows how people come together, pull ideas apart, and concepts germinate into truly great ideas. I always seem to be traveling every few months and am truly fortunate to experience so many places. 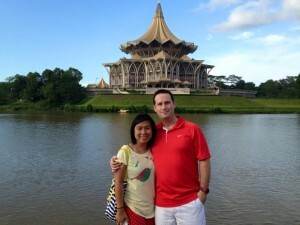 While Nepal and Canada were notable trips in 2015, a five-night visit to Kuching, Malaysia with my wife was a surprisingly great trip. The largest city in the province of Sarawak, on Malaysian Borneo, this city exudes charm, has a wonderful mix of cultures, and lots of things to do within an hour of the city. We strolled old Chinese communities, saw a European fort, visited Orangutans in their nature habitat, kayaked a gorgeous river, and spent two nights in a tree house on the South China Sea. Some things are ingrained in your blood. Great beef is one such item for me, despite living in SE Asia for many years and eating Asian food most of the time. While in Calgary, Canada this summer, I made a pilgrimage to an old favorite – Smuggler’s Inn. They’ve been serving up the best prime rib on the planet since the 1970s and it’s delicious. 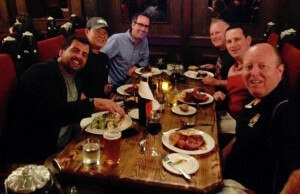 I enjoyed a ‘#2 First Mates Cut’ (16 ounces) with Yorkshire pudding, stuffed baked potato, and a beef rib on the side. It’s worth the trip to Calgary to experience their melt-in-your-mouth beef. 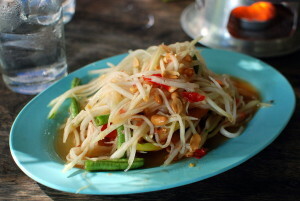 Somtam, a salad comprised of grated unripen papaya, peanuts, tomatoes, lime juice, chilies, and sugar cane, mashed together with a mortar and pestle is Thailand’s most famous salad. You generally scoop it up with sticky rice, using your hands, and while I like it, rarely ordered it until 2015. I’m suddenly addicted and have a newfound love for this wonderful dish. Polo Chicken near Bangkok’s Lumpini Park serves up my favorite. Stout is not my usual go-to beer, but in early 2015 a bar near my former house in Kuala Lumpur, Malaysia got Rogue Double Chocolate Stout on tap and I was hooked. At 8.7% this brew packs a punch and you don’t want to take down more than two pints, but it’s deliciously rich and full of flavor. The good folks at Rogue really outdid themselves. In 1995 while backpacking in Australia, I met Dorthe Pedersen, a Dane, and we lost touch after a few years. Facebook reconnected us and I was blown away with her organization, Cycling Without Age, which takes elderly passengers on bike rides. 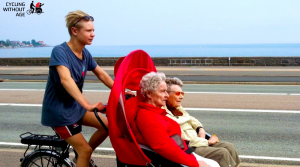 Volunteers donate their time and slowly pedal aging people on a chariot of sorts, helping them to enjoy the outdoors, while reconnecting with a younger generation. It’s truly a brilliant idea and I hope to cycle my own one day. Well done Dorthe and team! Podcasts are one of my favorite forms of entertainment. I listen to them daily, with Beats & Geeks, a Canadian tech and music podcast being my favorite. Alan Cross and Michael Hainsworth, two of the country’s foremost and fun authorities, produce this weekly gem that keeps me counting the days to Wednesday, when new episodes are released. Thanks for the fun and keep up the great work guys! 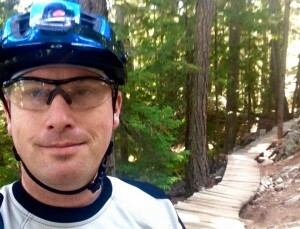 Lost Lakes Park, at Whistler is home to a surprisingly good network of mountain biking trails. I was expecting some very mellow tracks, but over two rides was grinning huge on trails with decent little climbs, fun descents, and some very nice built features. A final morning ride took me along The Torture Never Stops, Pinocchio’s Furniture, Why Johnny Can’t Read and some others, making for a top-notch spin in my homeland. 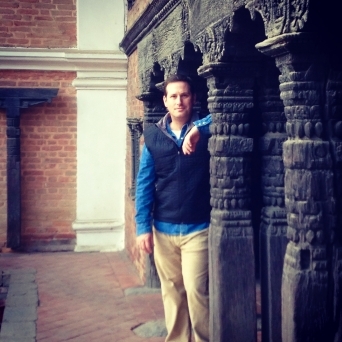 Thanks 2015 – bring on 2016! !